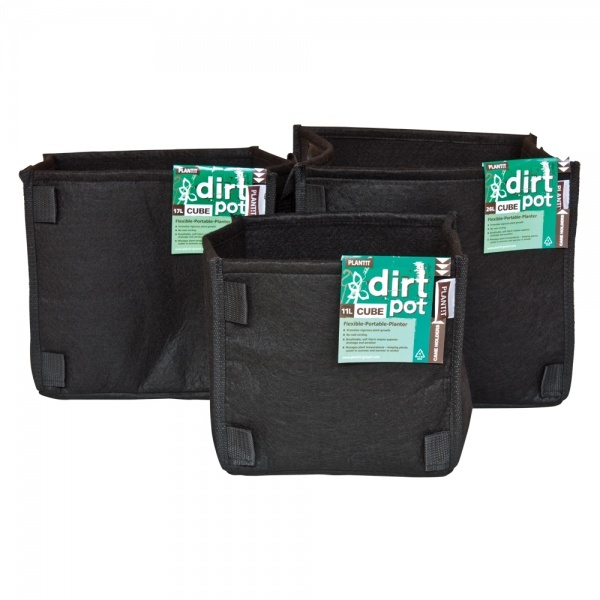 With the unique micro porous fabric that has been specially developed for the PLANT!T Dirt Pot, when the roots hit the side they will try to grow through the material and not circle around it. As the root grows through and reaches the air, it is pruned and stops growing. It will now focus on sending out many secondary roots from the pruned root. These secondary roots will then also grow through the pot and be pruned and the same things happens again. Due to its breathable nature, it is important to keep the media moist.